Sing 0 tongues with exaltation. 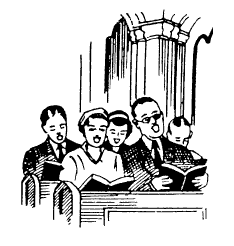 Praise the Lord with hymn and song. Echo praises loud and long. Honor to the Lord our King. Rouse the sleeping souls of sadness. With the skills of harmony. Songs that radiate with joy. Firm your faith with themes of glory. Smother all the flames of doubt. Bid all Christians sing and shout. Joyful hearts to God in praise. When we place our hands in His. When we meet with Him on high.